It’s time to put to use use our Ginger Bread Recipe again. Can you believe that Christmas is just two weeks away? We have been having fun over here enjoying the season and during the weekend we took the time to bake some delicious Ginger Bread Houses. my kiddo’s adorable Christmas Village. 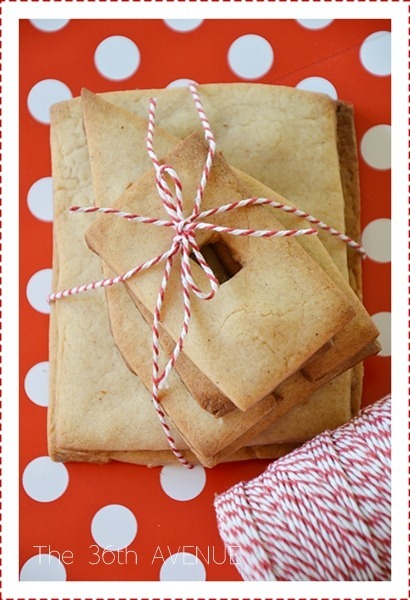 Today I’m sharing here our Ginger Bread Recipe and Free Printable Template for the houses. Melt the three first ingredients together in a pot over low heat. Remove from heat and stir in the next 5 ingredients. Then stir in the flour one cup at a time. Split the dough into manageable balls. Keep excess in warm temperature covered tight with plastic wrapping. Roll out about ¼" thick, cut pieces and bake at 375º F.
We love Christmas and simple traditions just like this one makes this magical Season even more special as we spend time together as families. 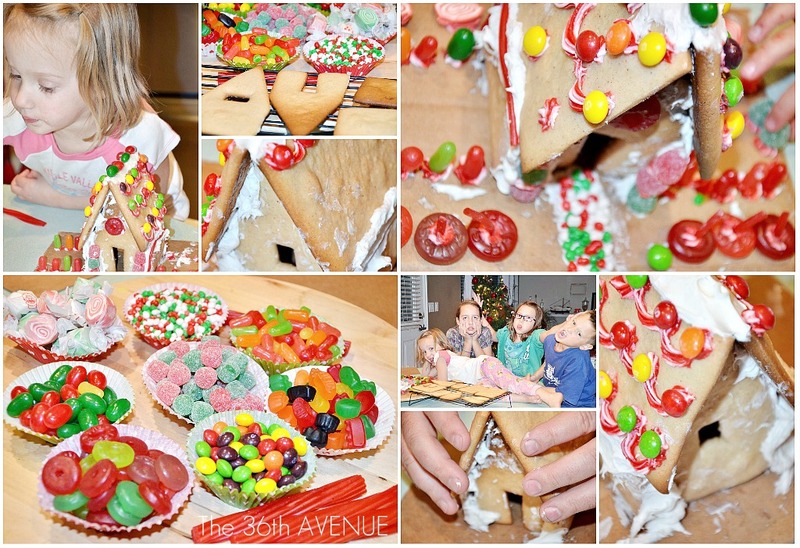 Here is a Gift Idea that you can do using these Ginger Bread Houses! Also check out these favorite 25 Edible Neighbor Gifts. Trust me they are awesome! for letting me share a little piece of our own Christmas with you all. 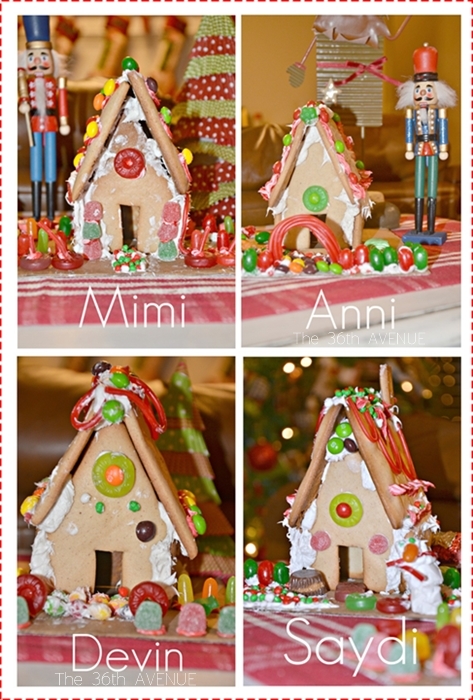 Thanks so much for sharing your receipe and templates for your gingerbread houses. I love your childrens gingerbread house, they are adorable. These are adorable, I bet the kids had a fun time making them. Great kits idea! Marge, I use regular frosting from the store. Thank you so much for getting back with me 🙂 Hopefully your idea will be the beginning of a new family tradition. Adorable! Will have to try…thank you for sharing! So cute – love the kid’s creativity!